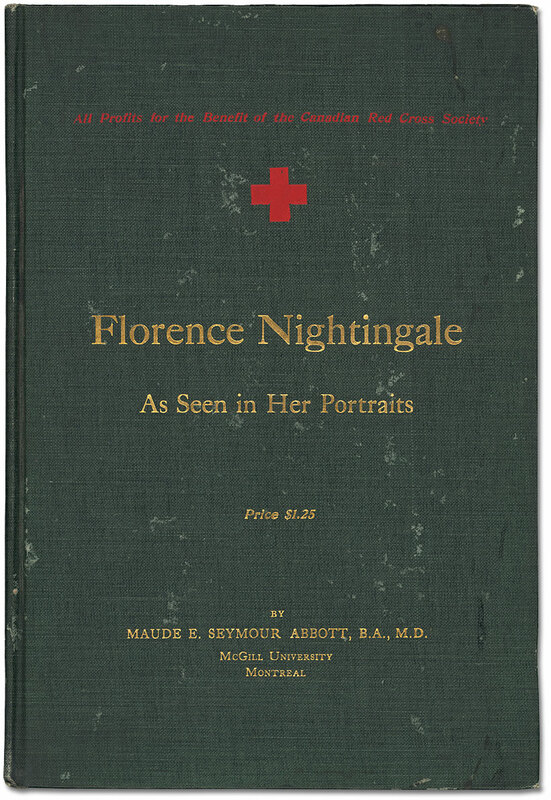 The roots of modern nursing were established by Florence Nightingale and thirty-eight other nurses who saved thousands of lives at the Scutari Barracks in Turkey during the Crimean War. 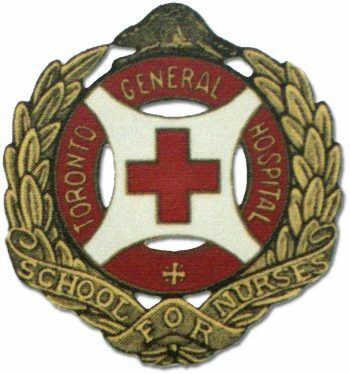 When the No.4 General Hospital, staffed by doctors from the University of Toronto, left to support the overseas war effort in 1915, it was accompanied by nurses from Toronto’s leading hospitals. 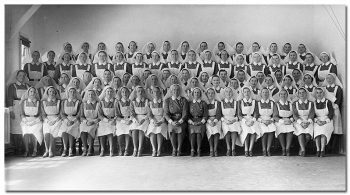 Thirty-nine of those nurses were alumnae of the Training School of the Toronto General Hospital. During the war, 180 members of the Alumnae Association went into active service in England, France, Greece, Italy, Belgium and Canada. 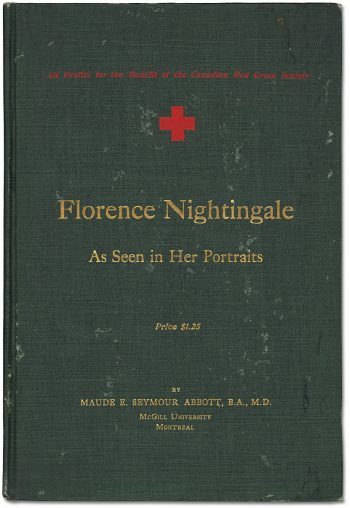 Twelve of the nurses who served overseas were accorded the Royal Red Cross and three were mentioned in dispatches. Many continued to serve after the war ended by helping in the Department of Soldier’s Civil Re-establishment. 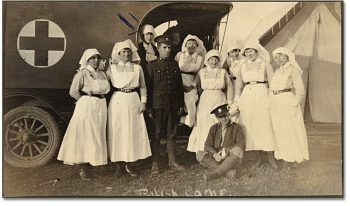 In the period between the wars, the Canadian Nurses’ Association and the Canadian Red Cross Society, in conjunction with the Department of National Defence, created a list of qualified nurses who would be ready to serve in times of war or disaster. 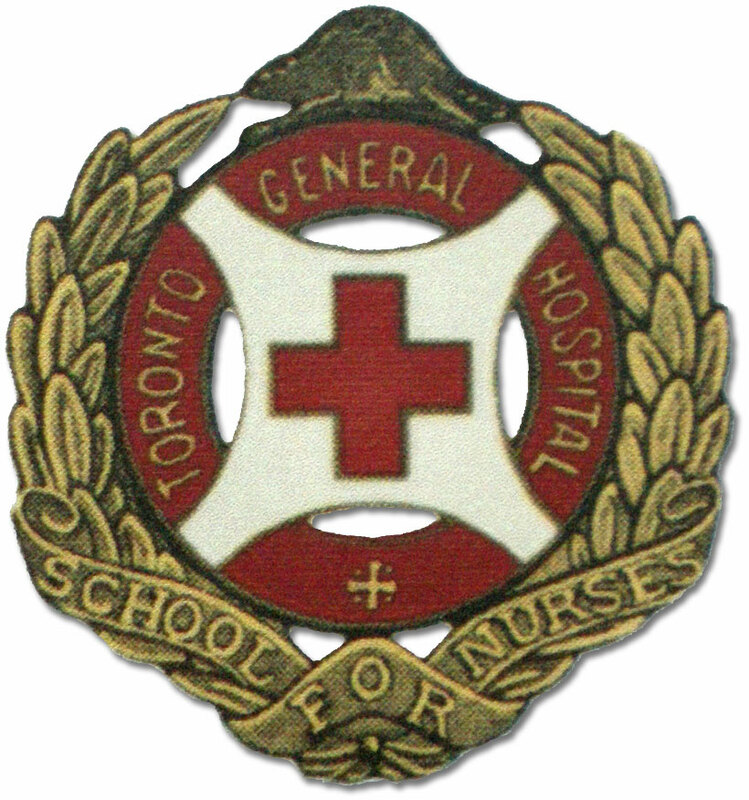 When World War Two was declared in September 1939, the list was implemented and Toronto General Hospital was well represented. 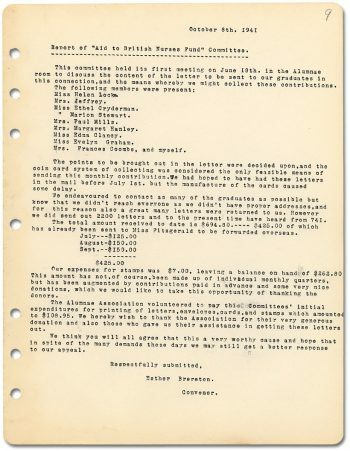 Several staff nurses enlisted immediately; one graduate nurse from each classification was granted a leave of absence upon being accepted for military service. When No. 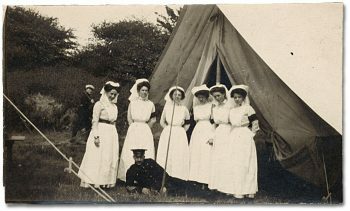 15 General Hospital was organized, many TGH nurses went to England to help with the war effort. One Alumnae member from the class of 1925, Agnes Campbell Neill, enlisted as a nursing sister shortly after war was declared. 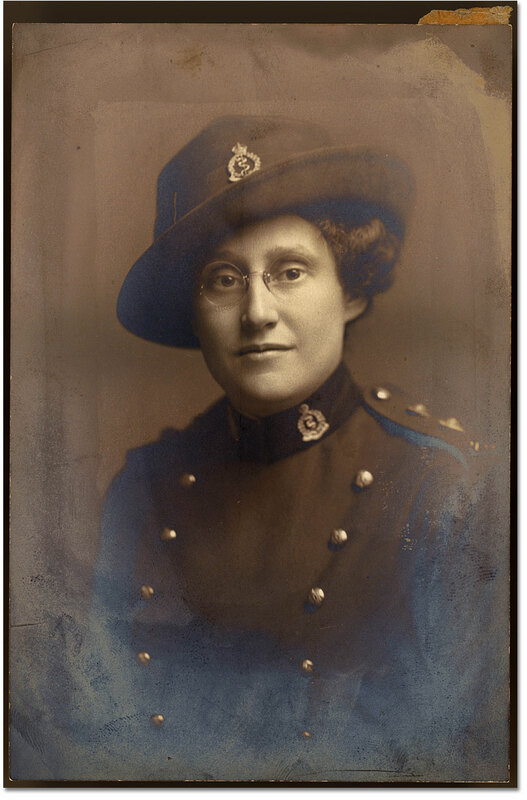 She rose through the ranks to become Col. Agnes Neill R.R.C., O.B.E., L.L.D, Matron in Chief. After the war she served as president of the Alumnae Association in 1947 and 1948. On the home front, nursing classrooms that were busy by day were taken over at night by the Red Cross Club. 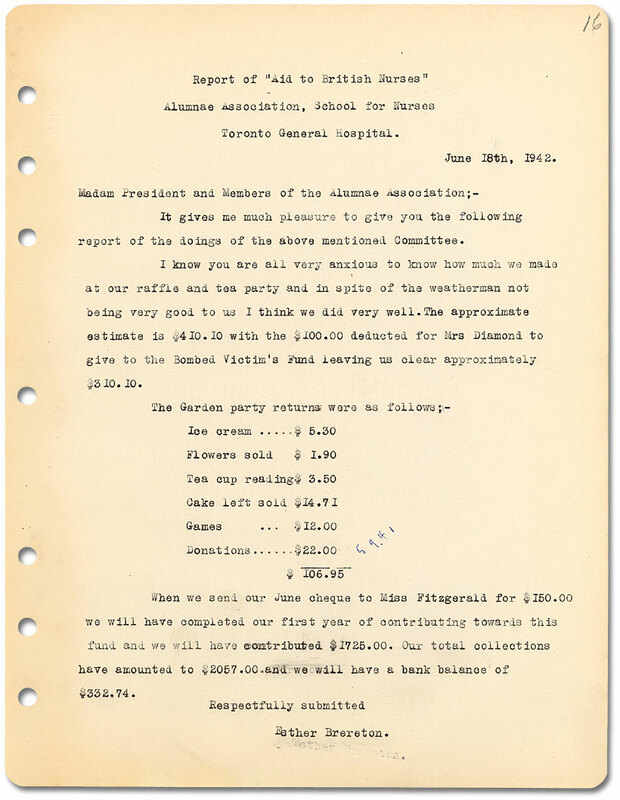 Formed by members of the nursing staff, the Alumnae Association and others, the group prepared parcels to be shipped overseas for the war effort. Surgical dressings, received from all over Canada, were packed into large tin boxes and sterilized in a huge autoclave. Scarves, sweaters, socks, gunners’ mitts and knitted helmets were packed into wooden boxes and shipped abroad. 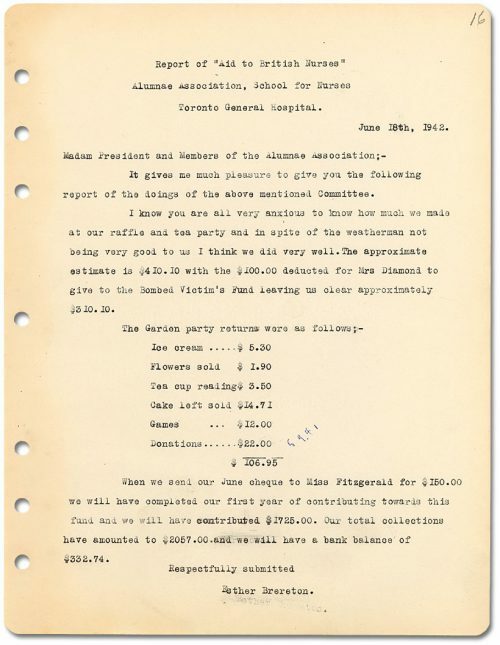 The nurses created a fund to provide equipment for emergency operating rooms overseas. Tables, instruments, sterilizers, blood transfusion, intravenous and anaesthetic sets were also supplied for use. 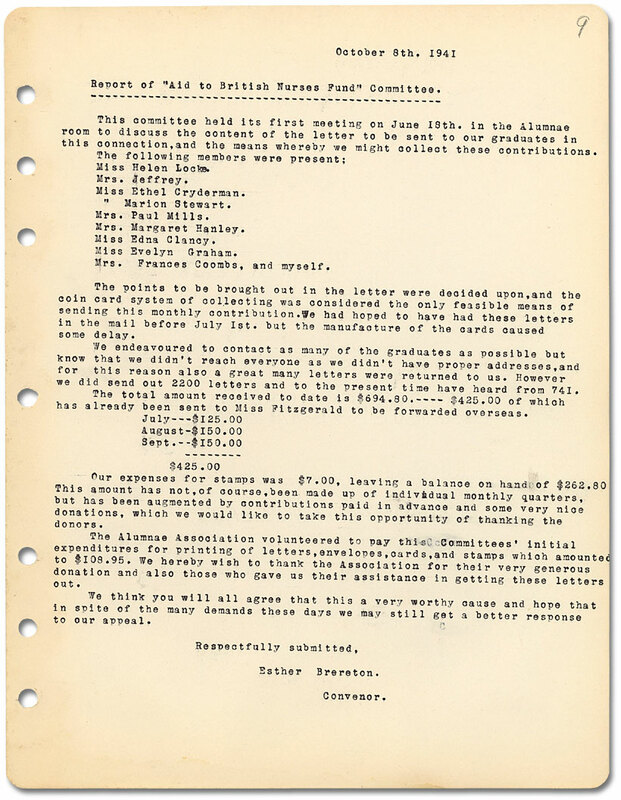 The members privileged to give this national service at a time of great need, brought to their school and the Alumnae Association both honour and distinction, the warm commendation of physicians and surgeons and the sincere gratitude of many suffering men. 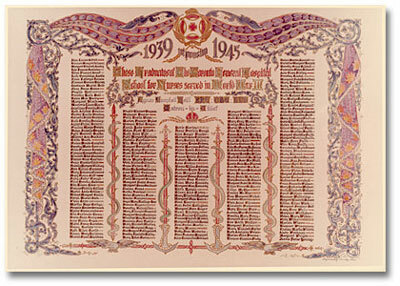 In recognition of the 227 Toronto General Hospital graduates that served in the Second World War, the Alumnae Association presented to the school an Honour Roll that lists all their names. Created by Miss Dorothy Stone, it was unveiled in May 1952 and was hung in the East Residence. 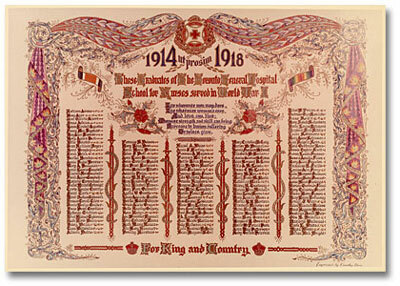 Miss Stone then created a companion plaque commemorating the 135 graduates who had earlier served in the First World War. That plaque was dedicated in 1957.